Last month the Virginia Court of Appeals affirmed an order requiring the website Yelp to disclose the identities of seven anonymous users who left critical reviews about a carpet cleaning company. Hadeed Carpet Cleaning, Inc., is a carpet cleaning business in Alexandria, VA. Like thousands of other business, Hadeed Carpet Cleaning has a profile on Yelp, a social networking platform that allows users to find, rate, and review local businesses. Users are able to post their reviews anonymously, but Yelp only allows users to review businesses that they have actually patronized. Hadeed noticed several negative reviews posted anonymously on its Yelp page and tried to identify which of its customers had left these reviews. Unable to match seven of these anonymous negative reviews with actual customers, Hadeed began to suspect that these were fake reviews left by competitors or other dishonest users. Hadeed asked Yelp to disclose the identities of these seven anonymous users, but Yelp refused to do so. Hadeed then sought a subpoena duces tecum (an order to produce documents or evidence) for the identities of the seven users, and Yelp again objected. 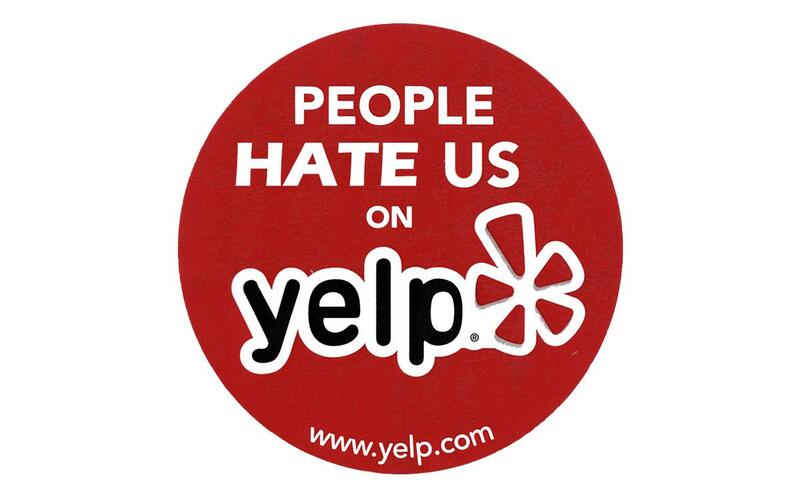 The state circuit court ordered Yelp to comply with the subpoena, but Yelp once again refused. Ultimately, the court held Yelp in civil contempt. Yelp appealed the decision of the circuit court, but the Court of Appeals affirmed it. Yelp relied on the protection of the First Amendment to justify its refusal to give Hadeed its users’ information. The Court of Appeals acknowledged the First Amendment’s protection but also noted the exception to that protection in the case of a tortious or defamatory statement. The Court declined to use Yelp’s case-based analysis of this exception and instead looked to Virginia state law, under which an “unmasking standard” sets out the requirements for identifying a person communicating anonymously over the Internet. First, Hadeed had to give notice of the subpoena to the anonymous users through Yelp, which it had done. Next, Hadeed had to show that the communications made were tortious or illegal, or that it had a legitimate, good-faith reason for claiming that the communication is actionable. The Court found that, assuming the users were not customers, the reviews were defamatory and thus actionable. Even if the users actually were customers, the Court found that Hadeed had a good-faith reason for believing that the reviewers were not customers—namely, that their complaints did not match up with any of Hadeed’s known previous clients. Third, Hadeed showed that it took reasonable but unsuccessful efforts to identify the anonymous users by first trying to match the negative reviews with previous customers, and then asking Yelp to give it the names of the seven unidentified users. Fourth, Hadeed was able to establish that the identity of the anonymous users was important to the claims it was advancing because it was necessary to know the identities of the seven users so Hadeed could bring defamation actions. Finally, Hadeed established that there were no pending dispositive motions at the time of the decision, and that Yelp actually has the identification information. The Court of Appeals found these elements to be satisfied and so affirmed the circuit court’s decision that the subpoena be enforced. Many First Amendment advocates see this as a dangerous infringement on the right to anonymous speech. However, this is just the most recent battle in the war between free speech and freedom from defamation. It is the job of the courts to strike the appropriate balance between these two competing philosophies, and in this case the Virginia Court of Appeals apparently felt that the balance needed to be tilted in favor of the potentially defamed party. It will be interesting to see what Yelp does next. If the users weren’t customers, then many other companies might try the same tactic as Hadeed to investigate negative reviews. But if the users were customers, then Yelp will have a strong argument for not allowing this kind of interference in the future. Although this isn’t the first time freedom of speech and anti-defamation laws have squared off, the effects of this case could have serious ramifications on anonymity on the Internet—for better or worse. Yelp’s value is about the objectivity of its reviews. By not stating upfront and having some way of fact checking reviews (positive or negative) they are doing they are depreciating their value. We really don’t need to waste a lot of meaningless lawyering (and wasted societal and corporate resources) on this. Common sense should prevail and this should be “internet doctrine” in general followed by all other companies. Just look at the debate around the negative commentary behind PopSci’s decision to remove comments.